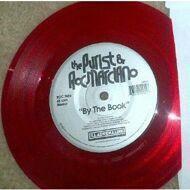 Limited Edtion of 100 Copies on RED Wax. Only 1 per customer (Nur eine pro Kunde, bitte). UK producer The Purist who recently put out the now very sought after Action Bronson b/w Roc Marciano "Northern And Roozy b/w Change" 7", already teamed up with Roc Marciano a while back to create this banger. The track also appeared partially on Roc Marciano's legendary "Knockout Blows" mixtape a few years ago.